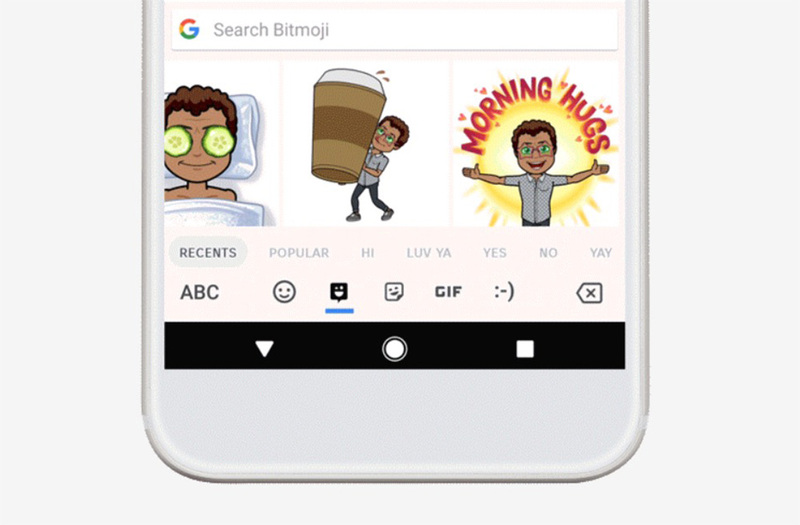 The latest update to Google’s Gboard keyboard on Android brings with it support for both stickers and Bitmoji. As Tim just explained to me, Bitmoji are personalized emoji that you design to look like yourself and are super popular with 12 year olds and his 40-year old sister. Sounds right up my alley! To get into this Bitmoji and stickers thing, you’ll need today’s update before diving in and expressing yourself in ways you never thought digitally possible on your OG Droid. The buttons for stickers and Bitmoji can be found with the keyboard open under the emoji key and in where you’d previously found GIF support. From there, if you tap on stickers or Bitmoji, you’ll need to download supported packs. Google teamed up with partners to offer starter packs featuring items from the NBA, Mickey Mouse, Star Wars, Garfield, Hello Kitty, and more. All of the links to get you going on downloading these packs will happen with Gboard.